At Reflex Graphics, they understand that clients need reliable, quality products and solutions to run their business. Since 1988, their goal is to help clients build a successful business by providing them with a complete line of business printing and promotional products. Reflex Graphics contacted SimpleLogic after learning about the work we did for one of their clients. They needed help with their online presence with an updated website design, easier access to their promotional products portal and better visibility in the search engines and social media. 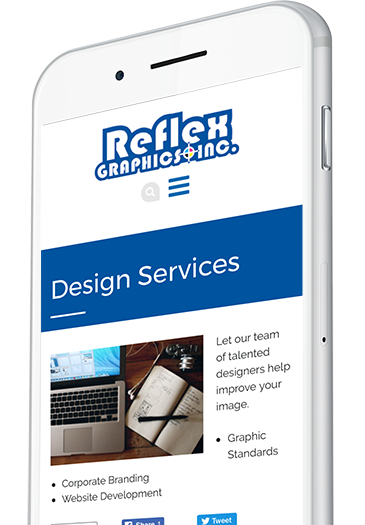 Reflex Graphic’s website was developed in a responsive design to automatically detect the size of the users screen to correctly size the main navigation, images and content any device. 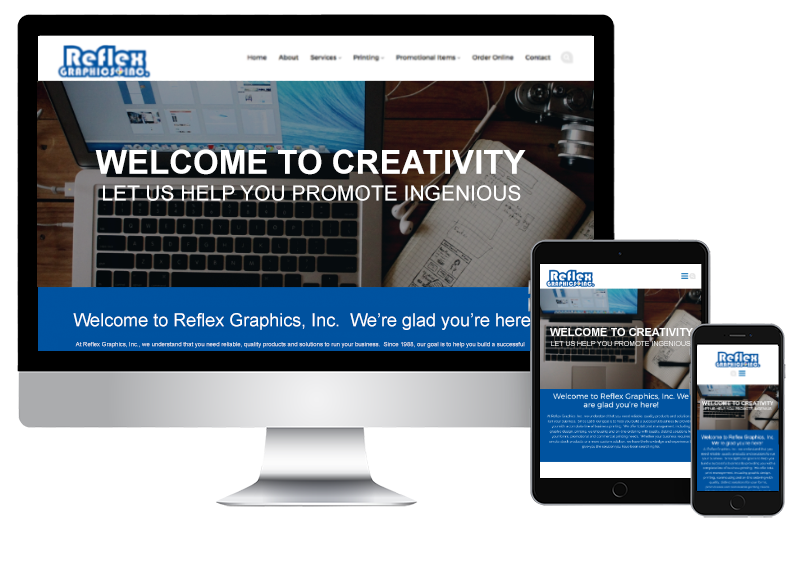 The site was integrated with Reflex Graphic’s promotional products portal. 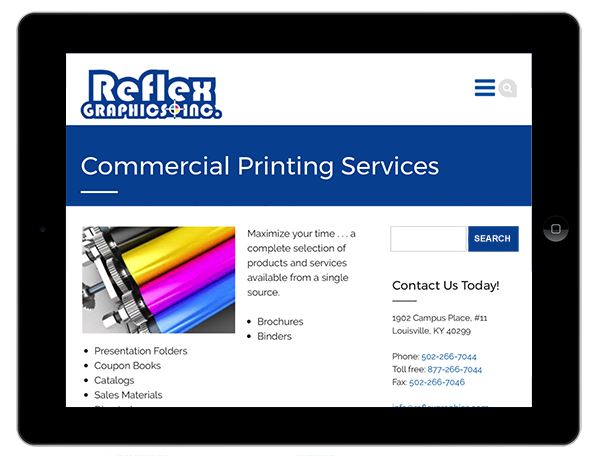 Reflex Graphics now uses the main site as their marketing tool to drive customers and prospects to the product portal to make their own promotional product purchases. The site was integrated into a Content Management System which allows Reflex Graphics to make modifications to the site as needed. They can now modify prices, images and service details themselves. After Reflex Graphic’s website was launched, SimpleLogic optimized the site for better visibility in the search engines and found the site on the first page of Google’s search results within a few months. Traffic to the site increased by over 200% since launch. As requested, the majority of the site’s traffic was funneled to the promotional products portal and Reflex Graphics has seen an increase of orders from the portal increase by 40%.